Since 1988 David Helfgott has appeared in recitals, and made concerto appearances throughout Australia, in Germany in the BEETHOVEN HAUS in Bonn and FRANZ LISZT HAUS in Weimar, in the RIMSKY-KORSAKOV CONSERVATOIRE in Russia and in Copenhagen where the BERLINGSKE TIDENDE wrote of his August 1993 concert: Helfgott’s deep involvement, his ability…to explore musical ideas is reminiscent of Glenn Gould. However, his touch and sound quality is more in the family of the old masters, Horowitz and Arrau. It was not only piano playing of the highest level, it was also a musical confession of the most intimate sort and true art., and of his October 1993 concert: You might doubt whether it is the music, the playing or the phenomena that thrills the audience when David Helfgott gives a concert, but no one who was present at his concert…could be in doubt that there was reason to be thrilled again. Behind this very spontaneous and meticulous soul lies a fantastic pianistic ability that only few pianists in the world have ever reached. 1996 and 1997 saw the world-wide release of the multi-award winning feature film, SHINE, based on his life, produced by Jane Scott, and directed by EMMY AWARD winning, Scott Hicks, David Helfgott‘s portrayal by Geoffrey Rush winning him BEST ACTOR at the GOLDEN GLOBE AWARDS and at the ACADEMY AWARDS. In 1997 David Helfgott embarked on a global tour of appearances throughout North America, the UK, Europe, New Zealand, SE Asia and Japan and which included performances of the Rachmaninov CONCERTO NO.3 in London’s ROYAL ALBERT HALL, in the HOLLYWOOD BOWL, and in Denver with the COLORADO SYMPHONY ORCHESTRA and recitals in AVERY FISHER HALL at the LINCOLN CENTRE in New York, at the DOROTHY CHANDLER PAVILION in Los Angeles, at SYMPHONY HALL in Boston, at ROYAL FESTIVAL HALL in London, in Korea, Taiwan and Japan. The INQUIRER in Philadelphia wrote, He came. He played. He conquered. During 1998 he appeared, playing Rachmaninov’s CONCERTO NO.3, with the STATE ORCHESTRA OF VICTORIA, the SYDNEY OPERA HOUSE ORCHESTRA and the WEST AUSTRALIAN SYMPHONY ORCHESTRA, and presented solo recitals in all the major, Australian cities and overseas, including South America and Hong Kong. He returned to the UK, Japan and Europe for performances which included the Rachmaninov CONCERTO NO.3 in Munich and Düsseldorf and, during 1999, with the WINNIPEG SYMPHONY ORCHESTRA. During 2000 he gave recitals at THE OLD VIC in London, in Israel and South America and during 2001 and 2003 he returned to tour Japan and gave concerts in South Africa. During 2004 he made his debut in Korea in concerts in Seoul and Pusan and 2006, in Denmark and Norway, Madrid and Bilbao in Spain and gave concerto performances in Zurich. In 2007 he returned to Denmark, Switzerland, Japan and Africa and during 2008 he embarked on a major series of solo performances throughout Italy which included a special command performance for the Mayor of Rome in the Piazzo Navona. David Helfgott continued his extensive touring program during 2009 appearing in solo recitals in Istanbul, Denmark, Switzerland, Estonia and Finland and as part of the G’DAY ISRAEL FESTIVAL in Tel Aviv and Jerusalem and presented a nineteen concert East Coast Australian recital tour for ANDREW McKINNON CONCERT PRESENTATIONS. 2010, 2011 and 2012 saw David Helfgott return each year to Europe for recital performances in Budapest and Istanbul and for performances of the Rachmaninov PIANO CONCERTO NO3 including in Vienna’s iconic MUSIKVEREIN. Also during 2012 he returned to Sydney’s CITY RECITAL HALL, HAMER HALL in Melbourne and the QUEENSLAND PERFORMING ARTS CENTRE in Brisbane in the Rachmaninov concerto again presented by ANDREW McKINNON CONCERT PRESENTATIONS and, during 2013, embarked on his most extensive Australian recital series since the 1996-1997 tour immediately following the release of SHINE, in major venues including concerts at the MELBOURNE RECITAL CENTRE, the ADELAIDE FESTIVAL CENTRE, THE THEATRE ROYAL in Hobart and the PERTH CONCERT HALL, of which THE WEST AUSTRALIAN wrote of Bach’s ITALIAN CONCERTO, There’s not a missed note, each clothed in tone of the most appealing kind with passage-work a model of clarity and fluence. Crucially… stylistically convincing., and Beethoven’s APPASSIONATA SONATA, … It is the slow movement that is especially meaningful. It is deeply probing, the crown of the afternoon. And in the finale, which has been the graveyard of more than a few reputations, Helfgott is in complete command; it is an impressive, powerful offering. 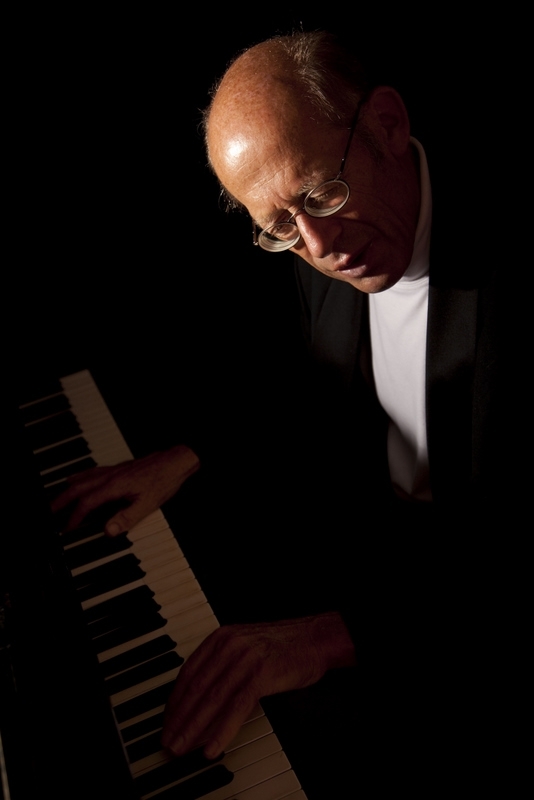 During 2013 David Helfgott also appeared in the Rachmaninov concerto with the LISZT FERENC CHAMBER ORCHESTRA in Budapest and 2014 included yet another extensive tour of Germany, Switzerland and Austria, concerts at the MOZARTSALLE in Vienna and the ZURICH TONHALLE and further concerts in Istanbul. He returned to the SYDNEY OPERA HOUSE to appear in the very rarely performed two-piano version of the Rachmaninov PIANO CONCERTO NO.3, performances he also gave, during 2015, at the MELBOURNE RECITAL CENTRE. 2015 included another major series of concerts in Istanbul, in Germany, Switzerland and Austria, and a return, for concerto appearances, to Budapest. He presented further performances of the two-piano Rachmaninov PIANO CONCERTO NO.3 in New Zealand during 2016 and gave concerts in Vienna and Salzburg and returned, for a solo recital, to the SYDNEY OPERA HOUSE to officially mark the 20th anniversary of the release of SHINE. During 2017 David Helfgott has appeared for the MANDURAH PERFORMING ARTS CENTRE in Western Australia and returned to Europe for performances of the two-piano Rachmaninov PIANO CONCERTO NO.3 in Istanbul, and Ankara, at the MUSIKVEREIN in Vienna, the KULTURE UND KONGRESSZENTRUM in Lucerne, at BRIDGEWATER HALL in Manchester and at London’s BARBICAN HALL as well as giving solo recitals in Berlin and in Denmark. 2018 includes a return, for solo recitals, to Sydney’s CITY RECITAL HALL and the MELBOURNE RECITAL CENTRE and further performances of the two-piano Rachmaninov PIANO CONCERTO NO.3 at the PERTH CONCERT HALL and, as part of a larger European tour, at LA SEINE MUSICALE in Paris, at the THEATRE DU LEMAN in Geneva, the TONHALLE in Zurich and again at the Vienna’s MUSIKVEREIN. He also appears in the Rachmaninov concerto with orchestra in Budapest and gives a solo recital in London’s CADOGAN HALL.